Technology-independent automation solutions: From initial bid and engineering to start-up and modernization, Bosch Rexroth will be at your side as your reliable partner. High availability in a rough environment is important so that continuous metallurgical processes can run smoothly. This is why plant engineers and users need reliable automation partners. 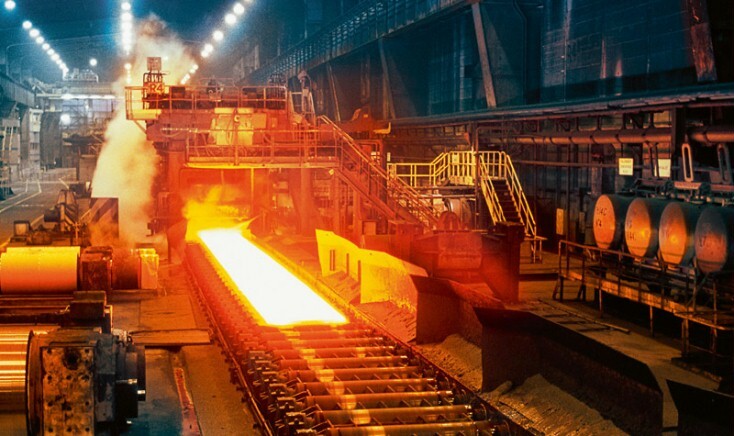 Rexroth offers automation solutions and components for the entire range of steelworks and rolling mill technology, including ladle turrets, continuous casting machines, vertical casting machines for aluminum slabs and roll adjustment in cold and hot-rolling mills. In many countries, new steelworks and rolling mills are being built, and existing facilities are being renovated. The productivity of these facilities can be increased most effectively with the help of cross-technology solutions from one source such as Bosch Rexroth. Customers can even opt to have our experts look after the entire project from the initial planning through to turnkey delivery. Our automation solutions are offered around the globe and guarantee precision and reliability throughout the entire life span of your facility. Drive and control solutions developed by Bosch Rexroth increase the productivity of steelworks significantly. Highly precise gauge control systems with powerful hydraulic or electric drives guarantee high quality and excellent surface finish. Servo cylinders with control system ensure an optimized mold oscillation process. Our customers can rely on our associates' application knowhow rooted in decades of experience. Moreover, our global presence guarantees customers service and support around the world.